For two months in Spring 2010, four headliners from the 2009 Monterey Jazz Festival are touring the U.S., supported by one headliner's rhythm section. Before the tour began, Cristofer Gross conducted two interviews with two of the musicians – vocalist Kurt Elling and pianist Kenny Barron. The sextet also includes violinist Regina Carter, guitarist Russell Malone, and the rhythm section of bassist Kiyoshi Kitagawa and drummer Johnathan Blake from Barron’s trio. The interview with Mr. Barron became the focus of an article in a program feature while Elling's was used for an article in Revue, the online magazine of the Orange County Performing Arts Center, where the group will perform on April 24. While Elling has had extraordinary success in only about a decade-and-a-half, Barron is now a veteran of half-a-century. In that time he has performed with an amazing roster of great artists. Among them was Dizzy Gillespie, who played a fundamental role in Barron's Monterey Jazz association by introducing him to the Festival as part of his early '60s quintet. For that reason, a couple of historic videos of the quintet have been embedded into the following Intermission. CRISTOFER GROSS. Before the tour begins, you’ll be going to the NEA Jazz Masters ceremony to be honored along with seven others for your contribution. What does that recognition mean to you? Is that a special honor? KENNY BARRON. Oh yeah! Wow. That’s a high honor for me. It’s recognition by your peers, and the powers that be. So it’s a very important honor. GROSS. And especially sweet the year that Yuseff Lateef gets inducted. BARRON. Yeah. Right. So I’ll get to see him, because he was one of my mentors. GROSS. It says in your bio that you credit him as a key influence on your art, specifically regarding improvisation. Can you elaborate on what he did? BARRON. Well I think it was just a sense of freedom that he gave me. And not being afraid to take chances when you play. GROSS. Did he do that by demonstrating it, or did he directly instruct you at some point? BARRON. No, he did it just by his example. I picked it up just by listening to him. I could hear he was very adventurous musically. So, I kind of took that to mean it’s okay for me to do that. GROSS. A license to drive, so to speak. GROSS. How much input did you have – or any of the musicians have, for that matter – in putting together the MJF group back in September. It’s one thing to have a couple “All-Star” jams at a festival, but anticipating that same band going on the road together for six weeks is a whole other thing. How did that go? GROSS. And agree to have your rhythm section be part of the group. BARRON. My trio, yeah. And I know everybody involved. We’ve all played together in one configuration or another. I think the only person I’d never played with was Kurt. I knew him very well. We used to run into each other in various places. So I’m really looking forward to it. Everybody gets along, which is a very, very important factor. Everybody’s personality is cool, so it means the music will be okay. GROSS. So if something had not jived at the Festival in September, or if someone had turned out not be onboard . . . But I guess it was pretty well known before hand. There really wasn’t any mystery to it. GROSS. Do you know if they’re going to release a CD of this MFJ/52 group as they did with the MFJ/50 group led by James Moody and Terence Blanchard? BARRON. Yeah, they are. We actually recorded two of the concerts in Monterey. GROSS. Will it come out before the tour? BARRON. That I don’t know. GROSS. Is there anything about the Monterey Jazz Festival aura that you will carry with you out on the road? BARRON. I’m sure we’ll carry some of that vibe with us. Because the first time I played Monterey I loved it, which was in ’63 or ’64, I think. GROSS. Was that with Dizzy Gillespie? BARRON. Yeah, that was with Dizzy. That was the first time. And I always look forward to going back, it’s just such a great festival. GROSS. Can you take me back to that first one with Dizzy? Was anything special about that one? BARRON. Oh there was a lot special, about him, about his ability. I mean during the ‘60s, Dizzy was truly amazing. The power that he had, the harmonic sense that he had. His knowledge of rhythms. And he was very happy to share all of that stuff. He would sit down at the piano and show me different things, and would show Rudy Collins various things about rhythms on the drums. He was very generous with his knowledge. And then the other thing that Dizzy would do, non-musical things like being reliable, being on time, things like that. Just how to treat people. GROSS. That was another era. Has much changed up there since, in terms of connecting to the audience, what kind of stuff is expected, commerciality, since 1962? BARRON. Oh, well, of course things have changed over the years, but everything . . . I think now there are a lot more younger groups, I mean with people who are younger in age, who are coming to the fore. For instance, in Monterey we went on right after Esperanza Spalding, and that was incredible to hear. GROSS. Yeah, I just saw her. In fact, she was the previous interview I did – albeit via email – before talking to you and Kurt Elling for this Monterey tour story. I think she really is something. BARRON. Yeah. Yeah. So younger people really are coming to the fore. And, that’s partially because a lot of the older people, I mean musicians, are disappearing quickly, unfortunately. But it’s still a jazz festival. And that’s the important thing. I mean they may have some accessible people on the bill, but they are still basically a real jazz festival. GROSS. Yeah. Spalding seems to be someone who, if she stays in jazz her whole life, it will be fantastic. She can go in a lot of directions right now. GROSS. And it seems like she has her coordinates set for that. BARRON. Yeah, yeah. She’s got her head on straight. She’s very talented, and very sensible. GROSS. And [Laugh] she knows how to run an audience. She was great. GROSS. Have you talked any further since I spoke with Kurt a few weeks ago, about which charts are going into the set? BARRON. Yeah, it’s still a little early to say, but I got some music from Kurt a couple weeks ago. Some arrangements. And so, I’m sure we’re going to rehearse those. And I have some things that I’ll do and then Regina has some things as well as Russell. I think the idea is to use different configurations so we’re not all playing every tune. At Monterey, for instance, Kurt did a duo with Russell that was great, and I did a duo with Regina, playing a Billie Holiday song. So there’ll be a lot of different configurations. Plus, out on the tour we’ll have – at Monterey we only did one set. On the tour we’ll do two one-hour sets. So, we’ll have different music for each set. You know, trying to vary it for ourselves try to vary it, so we’re not playing the same thing night after night after night. GROSS. Was there something in Monterey that was so good you’ll know it will be part of the set list? BARRON. Well, I think the duet with Kurt and Russell, it was also humorous. They did a Horace Silver tune called “Home Cookin’” that Jon Hendricks wrote the lyrics. But it was very humorous and that was very nice. GROSS. Any other outstanding Monterey years that you recall? Playing with anybody special? BARRON. The year I played with Stan Getz. That was great. GROSS. He was someone you recorded with frequently. All Music Guide says you “seldom recorded with anyone just once. [Barron's] discography is thickly woven with inspiring names that recur with the regularity of intricate and colorful patterns that invite further scrutiny.” And the recurrence with people in the group, including that great duets album you did with Regina. What have you done with Malone? You recorded with him as well. BARRON. I’ve been on a couple of his records and he’s been on one of mine. I did a record called “Spirit Song” and he was on that with me. And then he did a couple of records, one called “Georgia Peach” or “Mug Shot” or something like that. And he did another record with strings that was really nice. All ballads. Really a nice record. GROSS. What’s the next project you have for Kenny Barron or the Trio? BARRON. Well, I’m thinking seriously of enlarging the group from a trio to a quartet or quintet. That will allow me to do more writing, and I like the sound. GROSS. Write for more voices. BARRON. Yeah. I really like the sound of the classic quintet. GROSS. So that might be the next recording. BARRON. Yeah. More than likely. GROSS. Because it looks like you have a discography of over 40 records and I think I read that the first one came out in 1973, so you’re cranking them out at a rate of more than one a year. GROSS. And the number of records you’ve appeared on is apparently in the hundreds. BARRON.Yeah, maybe 400. Something like that. GROSS. Well, I feel like these 15 minutes have deprived you of another album! And nice talking to somebody from Philly. I lived there for a couple of years. GROSS. Thanks a lot I’m really looking forward to the show. BARRON.Okay, thanks. A pleasure. Bye bye. With David Sanchez, Darryl Hall (bass), Johnathan Blake (drums). Philadelphia is the birthplace of many great musicians, including one of the undisputed masters of the jazz piano: pianist, composer, and arranger KENNY BARRON. Barron was born in 1943 and while a teenager, started playing professionally with Mel Melvin’s orchestra. This local band also featured Barron’s brother Bill, the late tenor saxophonist. By 1959 Barron had worked with drummer Philly Joe Jones while still in high school. At age 19, Barron moved to New York City and freelanced with Roy Haynes, Lee Morgan and James Moody after the tenor saxophonist heard him play at the Five Spot. Upon Moody’s recommendation Dizzy Gillespie hired Barron in 1962 without even hearing him play a note. It was in Dizzy’s band where Barron developed an appreciation for Latin and Caribbean rhythms. After five years with Dizzy, Barron played with Freddie Hubbard, Stanley Turrentine, Milt Jackson, and Buddy Rich. The early seventies found Barron working with Yusef Lateef who Barron credits as a key influence in his art for improvisation. Encouraged by Lateef, to pursue a college education, Barron balanced touring with studies and earned his B.A. in Music from Empire State College. By 1973 Barron joined the faculty at Rutgers University as professor of music. He held this tenure until 2000, mentoring many of today’s young talents including David Sanchez, Terence Blanchard and Regina Bell. In 1974 Barron recorded his first album as a leader for the Muse label, entitled Sunset To Dawn. This was to be the first in over 40 recordings (and still counting!) as a leader. Following stints with Ron Carter in the late '70s Barron formed a trio with Buster Williams and Ben Riley which also worked alongside of Eddie "Lockjaw" Davis, Eddie Harris, Sonny Stitt and Harry “Sweets” Edison. Throughout the '80s Barron collaborated with the great tenor saxophonist Stan Getz, touring with his quartet and recording several legendary albums including Anniversary, Serenity and the Grammy-nominated People Time. Also during the '80s, he co-founded the quartet Sphere, along with Buster Williams, Ben Riley and Charlie Rouse. This band focused on the music of Thelonious Monk and original compositions inspired by him. Sphere recorded several outstanding projects for the Polygram label, among them Four For All and Bird Songs. After the death of Charlie Rouse, the band took a 15-year hiatus and reunited, replacing Rouse with alto saxophonist Gary Bartz. This reunion made its debut recording for Verve Records in 1998. 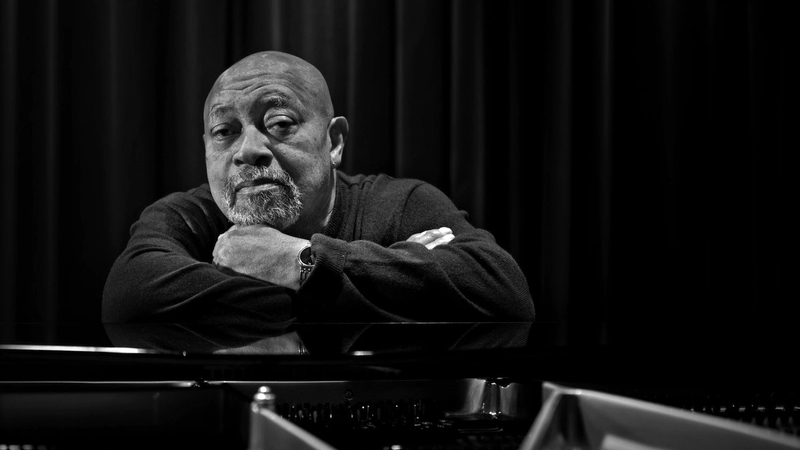 Kenny Barron’s own recordings for Verve have earned him nine Grammy nominations beginning in 1992 with People Time an outstanding duet with Stan Getz followed by the Brazilian influenced “Sambao and most recently for Freefall in 2002. Other Grammy nominations went to Spirit Song, Night and the City (a duet recording with Charlie Haden) and Wanton Spirit a trio recording with Roy Haynes and Haden. It is important to note that these three recordings each received double-Grammy nominations (for album and solo performance.) His CD, Canta Brasil (Universal France) linked Barron with Trio de Paz in a fest of original Brazilian jazz, and was named Critics Choice Top Ten CDs of 2003 by JazzIz Magazine. His 2004 release, Images (Universal France) was inspired by a suite originally commissioned by The Wharton Center at Michigan State University and features multi-Grammy nominated vibraphonist Stefon Harris. The long-awaited trio sequel featuring Ray Drummond and Ben Riley, The Perfect Set, Live At Bradley’s, Part Two (Universal France/Sunnyside) was released October 2005. In Spring 2008, Barron released his first studio recording in four years with The Traveler (Universal France), an intoxicating mix of favorite Barron tunes set to lyrics and newly penned compositions. In a first for the noted pianist, he is joined by vocalists Grady Tate (who sheds his drumsticks for this special appearance), Tony Award-winner Ann Hampton Calloway and the young phenom Gretchen Parlato, winner of the Thelonious Monk International Competition for Jazz. Barron consistently wins the jazz critics and readers polls, including Downbeat, Jazz Times and Jazziz Magazine. In 2005 he was inducted into the American Jazz Hall of Fame and won a MAC Lifetime Achievement Award. He is a six-time recipient of Best Pianist by the Jazz Journalists Association and was as a finalist in the prestigious 2001 Jazz Par International Jazz Award.